Tiger Limia – a BAP score! After each of our local club meetings we have a BAP / HAP auction. Well at the February meeting I picked up some very cool Limia sp. Tiger (Wayne Cade BAP submission). It has been a very long time since I’ve kept any livebearers and these cool little fish make an interesting addition to the fish room. Well, needless to say, it wasn’t any time at all and I found some new fry while doing a water change. WOW these guys are huge! 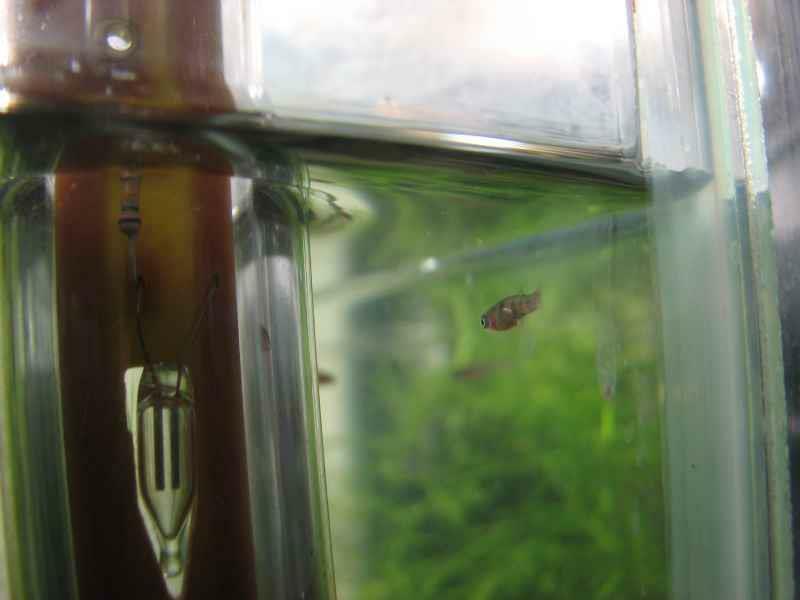 After working with egg scatters for the past few years I was taken back with the size of these new born fry. Thanks again Wayne! Originating from the island of Haiti, the males grow to around 1.25 inches with the females just slightly larger at 1.5 inches. These fish are very easy to keep and have eaten anything I offered to them. They especially like live foods such as mosquito larvae and baby brine shrimp, but just as eagerly eat Repashy gel and Golden Pearls prepared foods. I have them in a 10 gallon tank with my L201 plecos, but at the rate they are reproducing they will need larger accommodations soon! If you are a Tropical Fish Hobbyist digital subscriber, Bill Allen has a nice article about these in the April 2010 issue.